A Subdivision Bond is an obligation in favor of a municipality, county or state government as the Obligee on behalf of the Developer or General Contractor acting as the Principal. The Subdivision Bond indemnifies the Obligee against the builder’s failure to install on and off site improvements that the local building code requires, such as construction of streets, curbs, sidewalks, water, sewer, natural gas, electrical work, connection work, creation of drainage basins, etc. The main difference between subdivision bonds – also called site improvement bonds, plat bonds, completion bonds, or simply performance bonds from regular contract performance bonds – is that the owner/developer (the Principal) has to pay the cost of building the bonded improvements other than the public agency (the Obligee). This is an important point to remember if a general contractor should agree to secure/post the subdivision bonds on behalf of the owner/developer. Normally, the general contractor has the contractual right to stop work if the owner does not pay him. However, if the general contractor posts the improvement bonds in favor of the public agency, the general contractor is obligated to complete the improvements and pay all the bills regardless of whether the owner/developer paid him. 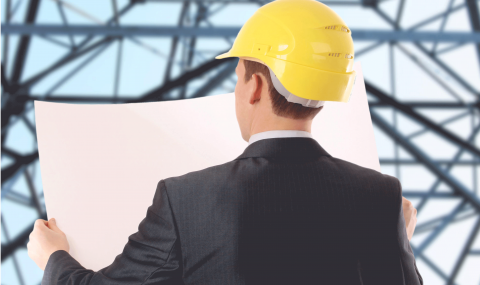 Therefore, a general contractor should generally avoid posting such bonds on behalf of the owner/developer or seek advice from their legal counsel on how best to protect him or herself. Corporate surety bonds are far from the most preferred option for most owner/developers when considering the potential disadvantages of the alternative guarantee forms. Irrevocable Letter of Credit (ILOC): To secure an ILOC, the owner/developer typically inconveniences a portion of its line of credit for a fee. The security for the ILOC may be funds on a deposit at the bank with their immediate right of seizure. If the bank elects not to renew the ILOC, the public agency would have the right to promptly draw down on the full amount of the ILOC. This will create a loan, which the bank could quickly call for immediate repayment.The governmental entity holding the ILOC has the right to draw on the ILOC anytime they believe there is a breach of the owner’s responsibilities and the owner would have little or no opportunity to stop the drawdown. The ILOC is strictly a financial instrument. The bank provides no prequalification services to assure the owner/developer’s capacity or experience to perform. Certificates of Deposit (CD): It is effectively a cash deposit that ties-up the owner/developer’s capital, which usually can be used more productively. The CD is subject to forfeit by the one-sided demand of the public body. For the public body accepting the CD as security, it provides no prequalification benefits. In addition, it encumbers the public body with administrative burdens to make sure that they accepted a CD that was in proper-assignable form, they had unequivocal authority to draw down on the CD, they don’t release it until all likelihood of non-performance had passed and they hold the instrument in safekeeping and properly return it to the owner/developer. Other Security (such as cash): This option has many of the same concerns as CDs. In addition, the public agency would have to make some determination that the cash being deposited was “legitimate” and not subject to possible bankruptcy preference rules. Tripartite Agreement: These agreements may involve: set-aside letters from a bank, special escrow accounts and/or fund controls. Tripartite agreements place disbursement of the construction funds under the direct control of the governmental agency. Disbursement of monies may be postponed by concerns about the value of completed work or the adequacy of monies to complete the improvements and give the required maintenance. Tripartite agreements are not really performance guarantees but control over a fund of monies that may not be enough to pay for all the improvements. These types of arrangements place extra heavy administrative burden on the public agency and can create liabilities if the funds are not properly administered.